It is hard to believe but this captivating tale is based on a true story about Fu Manchu, an adult male orangutan,who relishes outsmarting his friend, zookeeper Jerry Stones. He does just that when he escapes his enclosure at will and spends sunny days with the elephants in another part of the zoo. At first Jerry believes his staff’s carelessness allowed the crafty ape to get out. But when that assumption proves wrong, he launches an all-out surveillance mission to discover how Fu manages his getaways. Jerry soon discovers that Fu can open the locked door, but can’t figure out how he does it. The zookeeper removes every twig and stick that could be used as a lock pick, but Fu continues to escape. Eventually, Fu reveals to Jerry how he did it, and is rewarded with honorary membership in the American Association of Locksmiths. 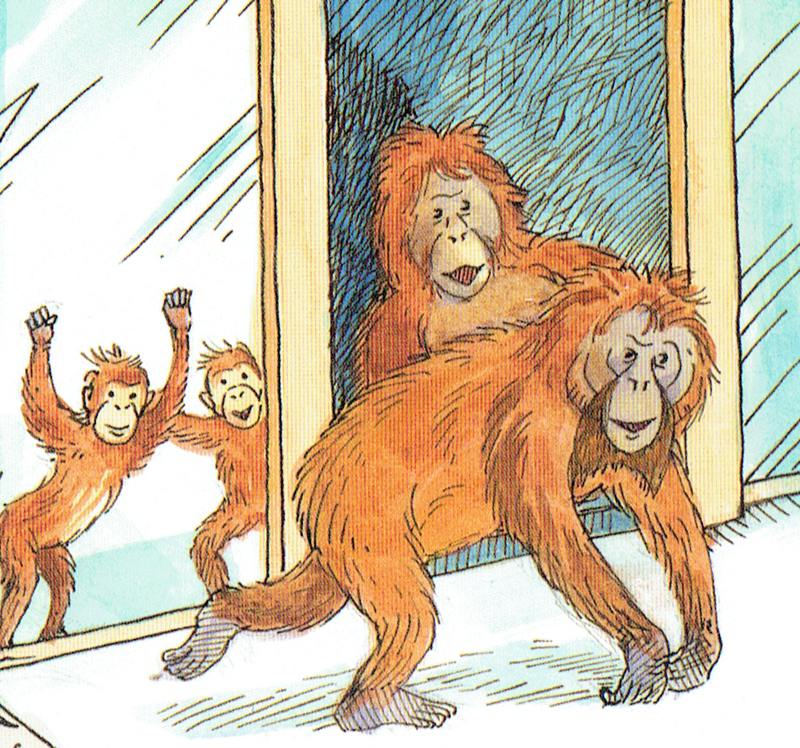 An intriguing story about one very smart orangutan complemented by charmingly realistic illustrations.